When the Comedy Store of London opened in Mumbai, Anuvab Pal was the first Indian stand up comedian chosen to perform. Since then, he’s performed his first special The Nation Wants To Know, about the madness of contemporary India, to sold out houses in 35 cities around the world from Sydney to San Francisco. In India, he’s a well known Bollywood screenwriter and playwright, with many hit stage and film credits including Loins Of Punjab Presents and The President Is Coming. 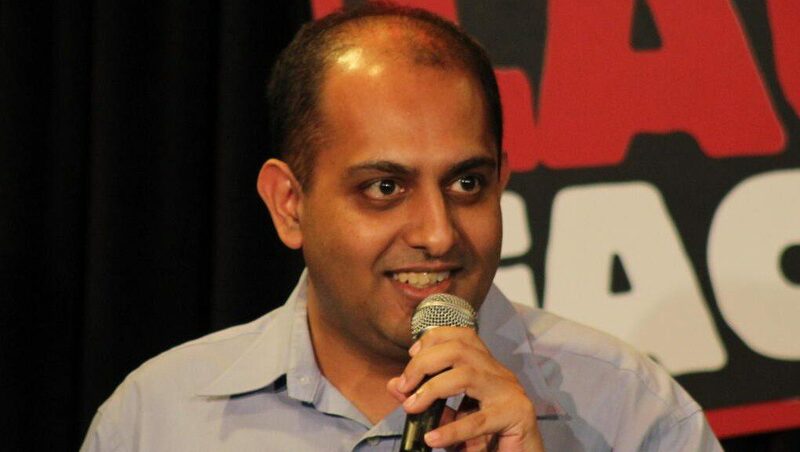 Anuvab’s sitcom series Going Viral was part of Amazon’s recent major foray into the Indian market, as well as being part of the launch stand up specials with his second special, Alive At 40 included in their first stand up comedy special slate for the SVoD. In the UK he’s a guest on the Bugle Podcast with Andy Zaltsman, has featured on Just a Minute with Nicholas Parsons, worked on Paul Merton in India and as a script supervisor on the ITV show Mumbai Calling. He has had his series The Empire alongside Any Zaltzman commissioned by BBC Radio 4 which is due to record next year and is set to bring his show “Empire” to the Soho Theatre in 2018, as well as taking part in The Arts Hour on Tour in Mumbai for the BBC World Service.